I’ve had the song, “We need a little Christmas” buzzing through my head for a week now, so I initially decided to haul out the holly over the week-end and start the festivities. As I assessed the house, mentally dressing the mantels and moving furniture to make way for trees, I managed to come up with a big-idea for the room I call the kitchen annex: make new curtains and re-cover the chairs. 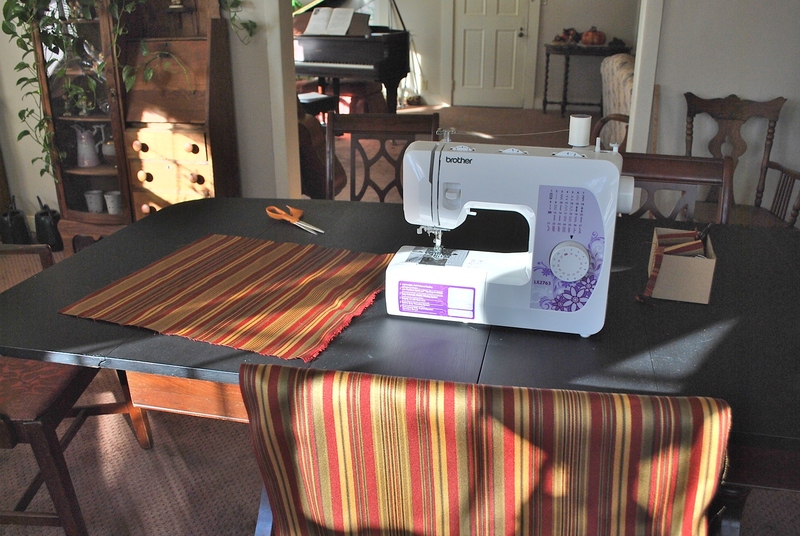 So the sewing machine is back out and I’ve cut 12 panels for the curtains. I need 2 more yards of material for the chairs, I think, and that will be our lovely Thanksgiving celebration. Grandmother was 96 or 98 when she died, depending on what birth year you believe, and our family had gathered in the tiny little town of Albion, IL for the funeral. 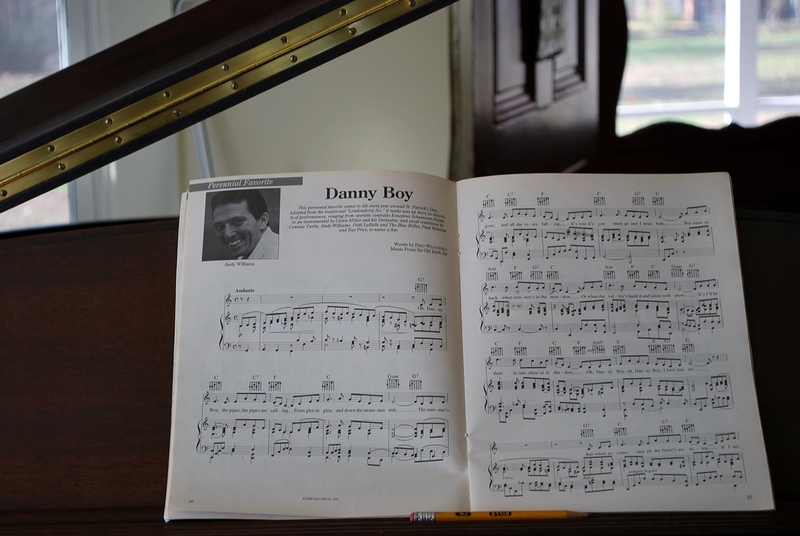 My Great-Aunt Bernie, Grandmother’s older daughter, was sitting with her husband in front of us when the organist began to play, at the family’s request, “Danny Boy”. Aunt Bernie had a rough, smoker’s voice that carried well across any room, even at a whisper. But Auntie wasn’t very good at whispering, so when she turned to Uncle Harry and said, “Mother would roll over in her grave if she could hear the way that woman is butchering this song”, we all heard it (probably not the organist, though). Being the kind of people that giggle when we’re nervous, my Dad, sister, and I started laughing, uncontrollably. Stifling our chortling only brought tears to our eyes and shook the folding chairs we were sitting on. For the rest of the service, all we had to do was look at each other and make banjo-eyes, and the others would crack up again. Ya gotta love a good funeral. Still avoiding the news, and thankful that I divided my FB “friends” into categories that allow me to stay away from the haters, I’m going to start the stitching today. Weirdly, the material I chose is also a Grandmother-throwback: I remember some dining chairs at her house that were covered with a similar pattern. I’ll get the before and afters and I’m sure you’ll be impressed…which is what I live for, of course.